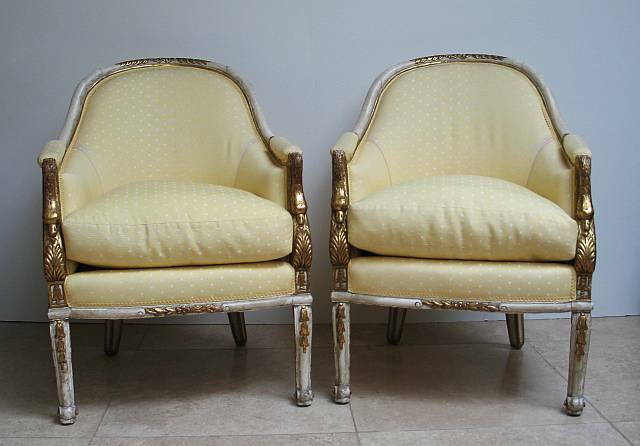 Pair of French Neoclassic armchairs with swan carved arms having acanthus leaf design below. Curved legs terminate in whorl feet. Cream paint finish with gilt accents.